The private race to space is on. The commercial applications are growing by leaps and bounds, establishing new markets and disrupting existing ones. Although a SpaceX Falcon rocket first reached orbit a decade ago, only now are investors — including Silicon Valley venture capitalists — growing more comfortable investing in space. 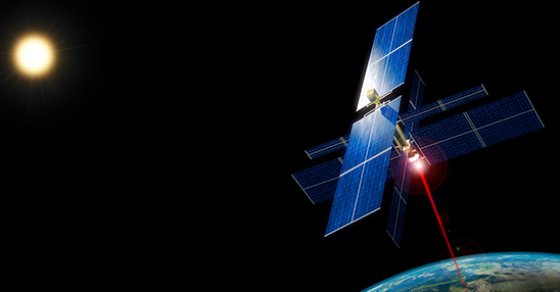 Communications and satellite technology is driving a whole new industry centered on the miniaturization of satellites. Many of the companies that launch the rockets carrying these payloads to space are relative newcomers. Consider that while the overall number of launches is relatively stable, newcomers (companies making their first rocket launch in the past 10 years) are taking a much larger slice of the pie. Still, challenging hurdles remain for investors and entrepreneurs. Because the technology is evolving so quickly and government oversight can be complicated, tapping knowledge and experience is key for investors seeking to identify the best deals and provide true value to the entrepreneurs they choose to back. Government agencies have historically dominated the satellite sector. But with the arrival of the CubeSat, a nanosatellite that can be built for a fraction of the cost of earlier-generation satellites, new companies are springing up. Sometimes, the founders formerly worked for NASA and other agencies and have moved to the private sector so that they may more quickly iterate and move concepts from idea to execution. Rocket Lab, which started as a New Zealand–based developer of propulsion systems and launch vehicles for government and commercial customers, is a pioneer in rocket launches designed for small satellites as the primary payload to be placed in low Earth orbit. The rush to space has driven others to consider new approaches; this includes SpinLaunch, a Silicon Valley–based company that is building a space catapult, as well as Zero 2 Infinity, a Spanish company that is using high-altitude balloons to accomplish the task. Advances in earth-imaging technology are also presenting new commercial applications and investment opportunities. With the application of machine-learning techniques, data from space become more valuable to businesses and government. Also, the miniaturization of SAR (Synthetic Aperture Radar) sensors — which “see” through cloud cover and survey at night — are poised to add another layer to the imaging market. Underscoring how experience counts in this business, the founding team of Planet, a provider of satellite imagery data, had worked at NASA on lunar orbiter and small-spacecraft missions, as well as others. While barriers to entry remain very high for rocket commercialization compared with other technologies, near-term market opportunities, particularly around small satellites, are enticing investors. Last year, Vector, an Arizona-based small-rocket company led by a former SpaceX executive, raised a $21 million Series A round. The round was led by Sequoia Capital, and the proceeds are being used to build a program to offer launches for as little as $3 million. Other VCs active in space investments include Bessemer Venture Partners, Draper Fisher Jurvetson and Khosla Ventures. Industry-specific funds, such as Space Angels and the United Kingdom–based Seraphim Space Fund, have grown in recent years. Some entrepreneurs find that partnering with strategic corporate investors can be helpful, for example to gain a pilot customer for their product and speed up the path to commercialization. What’s next for space investors? While earth imagery, small rockets and satellites are attracting investment today, the longer-term opportunities for space tourism, mining and manufacturing may hold the biggest promise. For entrepreneurs and investors alike, industry experience is fundamental when tackling the challenges of space commercialization. The path to commercialization here, however, is littered with uncertainty and heavily influenced by politics, regulation and public perception, leaving most investors on the sidelines for now. Navigating International Traffic in Arms (ITAR) regulations — the Committee on Foreign Investment in the United States (CFIUS) process, which is focused on national security issues — and the requirements of government contracts takes experience and persistence. Companies referenced throughout this document are independent third parties and are not affiliated with SVB Financial Group. The views expressed in this article are solely those of the author and do not reflect the views of SVB Financial Group, Silicon Valley Bank, or any of its affiliates. Ann Kim is a Managing Director in Silicon Valley Bank's Frontier Technology group. Ann has spent much of her career working with venture-backed companies in aerospace, robotics, automation, transportation, mobility, AR/VR, and digital health segments. She was previously on the Corporate Finance team, advising later-stage and public tech companies. Prior to joining SVB, Ann was a healthcare consultant focused on commercialization strategies for pharmaceutical and medical device companies, and a Research Assistant at The Clorox Company. Ann holds a bachelor’s degree in Molecular and Cell Biology from UC Berkeley. She was President of the Korean-American Student Organization, an active member of the Korean-American Scientists and Engineers Association (KSEA), and served on the executive operating committee for Asia America MultiTechnology Association (AAMA). Ann is serving her fellowship at Silicon Valley Bank as a member of Class 24.